We have a gorgeous 480 sq. ft. martial arts studio and most hours of the day it’s empty. We’re looking for partners to share the space and put it to good use when were not there! Email us @ greenpointkungfu@gmail.com for more info! 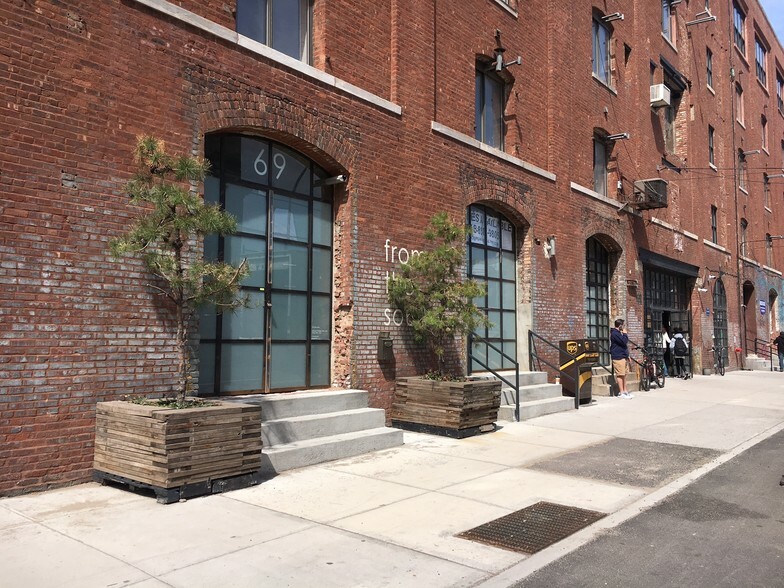 We’re located on the fourth floor of the historic Greenpoint Terminal Building, which formerly housed a rope factory. We now share the halls with artists and graphics studios, along with Greendesk. A serene studio with antique wood floors. It’s a great space for yoga, martial arts, movement, Tai Chi, morning meditation, personal training, massage sessions, group fitness and more. We have some cubbies and a coat rack, climate control and we can provide some gear storage if you need it. And climate control. We have room to store your mats and other gear. We can also accommodate signage for your classes adjacent to ours. Located one block from Transmitter park, and the NYC Ferry Greenpoint stop. We are in a secure building full of startups and studios in the fast growing Greenpoint waterfront area. "The Hand That Hits also Blocks."